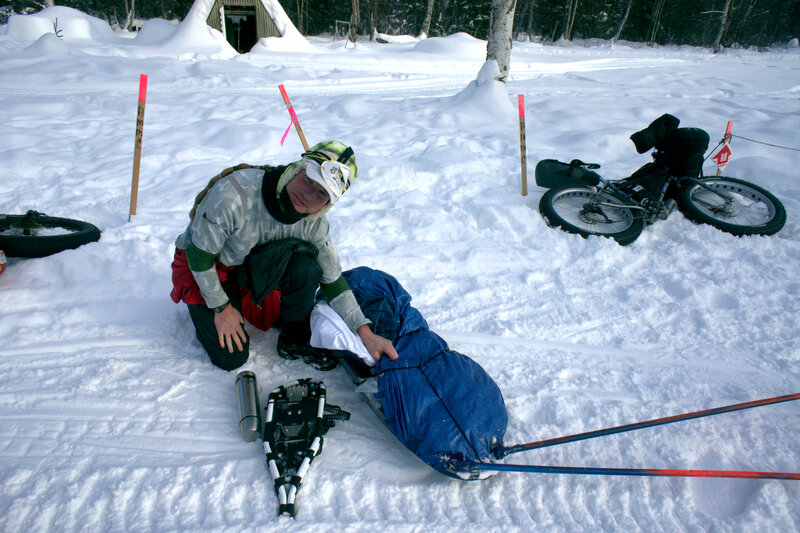 Dave Johnston in Skwentna during the 2013 Iditarod Trail Invitational. With trail-running fans vigorously discussing candidates for the “Ultrarunner Of the Year,” and the prior post on this blog about Bikepacking Performances of the Year, I thought I’d list a few other stellar performances in the world of endurance that for the most part slipped well under the mainstream radar. Like most lists of this sort, this one is largely subjective, comprised of achievements that I was particularly impressed with. What other 2013 accomplishments would you add to your own “Performance of the Year” list? David Johnston’s Iditarod Trail Invitational: A rather unassuming but strong runner from Willow, Alaska, David Johnston traversed 350 miles of Alaska backcountry to win the Iditarod Trail Invitational foot race in 4 days, 19 hours, and 13 minutes. 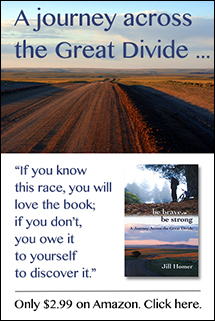 Chasers such as Joe Grant, an accomplished ultrarunner from Colorado, were still more than fifty miles behind. It was second fastest time ever posted on foot in the race, only four hours behind Steve Reifenstuhl’s 2005 speed record that most connected to this race considered untouchable. Johnston has a unique style compared to others who participate in the obscure sport of man-hauling across winter landscapes — he actually runs, most of the time. While others who have achieved fast times have concentrated on strong hiking and persistent forward motion, Johnston likes to stop into remote outposts for a beer and a laugh with the locals. With good trail conditions, Johnston may be poised to break Reifenstuhl’s record this coming year. Tim Hewitt’s unsupported Iditarod trek: Tim Hewitt, the Pennsylvania lawyer who has walked a thousand-plus miles across Alaska an astonishing seven times and holds the full-distance Iditarod Trail foot speed record at 20 days, 7 hours, and 17 minutes, decided to up the ante this year and complete the trek entirely unsupported — meaning he started in Knik with all of the supplies he would need for 25 days, and never stepped inside a building at any time during the trek. His normally svelte sled “Cookie” weighed more than 110 pounds at the start, and a whole lot less when Hewitt arrived in Nome after 24 days 20 hours and 31 minutes. Hewitt’s 1,000-plus miles rivals the longest known unsupported foot expeditions in modern history, and he effectively did it just to see if he could, and also to test his mettle for future Antarctic ambitions. Heather Anderson’s Pacific Crest Trail: Just before midnight on Aug. 7, a self-proclaimed bookworm and former nonathlete with a trail name of Anish completed a self-supported through-hike of the 2,655-mile PCT in 60 days, 17 hours and 12 minutes, besting the previous fastest time of 64 days, 11 hours and 19 minutes set by Scott Williamson in 2011. To do so, she went through five pairs of trail running shoes, hiked 16 to 20 hours a day, pushed through various aches, pains and blisters, and remained entirely self-supported while crossing deserts and the rugged slopes of the Sierra Nevada and Cascade ranges. One day later, Josh Garrett finished a supported hike of the PCT in 59 days, 8 hours and 14 minutes, establishing a new supported record. Although Garrett’s impressive hike also establishes the overall record, those who follow these sorts of things understand just how difficult it is to accomplish such a long trek self-supported, carrying enough food and water for days and resupplying by walking into towns. That Anish was able to finish the trek just one day behind a supported hiker is an incredible accomplishment. Matt Kirk’s Appalachian Trail: In early August, Matt Kirk, a 32-year-old school teacher, wrapped up a 2,185-mile hike in the same simple style that is gaining more appreciation in the world of Fastest Known Times, setting a speed record for a self-supported thru-hike of the Appalachian Trail. Kirk arrived at the summit of Springer Mountain, Ga., in 58 days, 9 hours, 40 minutes. Kirk broke the 20-year-old self-supported record, set by Ward Leonard in 60.5 days. Since that time, there has been a well-known goal among self-reliant hikers to travel the AT in sub-60-days. John Muir Trail Fastest Known Time: On the JMT, ultrarunners Hal Koerner and Mike Wolfe covered the 224-mile distance in 3 days, 12 hours, and 41 minutes, lowering Brett Maune’s time from 2009 by 92 minutes. I’m among those who are biased to be more impressed with self-supported and solo efforts over supported efforts, but Koerner and Wolfe had a well executed strategy for completing a blistering fast adventure run on a rugged trail. Sarah Outen’s Pacific row: In September, Outen became the first woman to row solo from Japan to Alaska. The British adventurer reached Alaska’s Aleutian Islands after five months at sea, during which she capsized five times and got engaged to her girlfriend. She left Choshi, Japan, on April 27 and travelled 3,750 miles at sea, as part of a multi-year plan for a global trek by ocean rowing, kayak and bike. Next year she plans to return to Adak with a teammate, Justin Curgenven, to continue the kayak trip to mainland Alaska. She will then cycle across Canada and North America before attempting a solo row across the Atlantic to Britain. Colorado 14ers through-hike: In late September, Luke DeMuth and Junaid Dawud, two friends who weeks earlier started walking up Culebra Peak in southern Colorado’s Sangre de Christo Mountains, reached the summit of Longs Peak after hiking and scrambling for 71 days. The Longs climb marked the 58th 14,000-foot peak for the duo, who walked more than 1,300 miles and climbed almost 300,000 vertical feet as they hiked to every fourteener in the state and climbed each peak. Holy smokes…every one of these is worthy of “Performane of the year”! David Johnston is the man – he was in amazing shape when he finished, considering he was so close the record time. Folks talks about how hammered Steve R. when he set the record, it was awesome to see David finish so intact and cheerful. This is a great list–I’m psyched to see the slightly more obscure endurance “sports” getting some appreciation. To me, perhaps the most impressive performance on the list is Matt Kirk’s self-supported A.T. record, in part because I met him briefly in New Hampshire. Unlike many speed hikers, he was a really nice guy and fun to talk to. Also, his blog is wonderful and worth a read. Also, Scott Jaime’s Colorado Trail speed record is worth a shout-out. That record has seen a lot of attention by fast ultrarunners and speed hikers over the years. I was particularly impressed by the 14ers thru hike for the adventure an pioneering aspects of their effort. Fast thru hikes are impressive, but I have to admire just figuring it out on your own, and tey undoubtedly saw a lot of amazing country most people skip over in their drive to the next peak. Thanks for the shout out! We appreciate all the love! !